Last week we wrapped up another successful South Florida Bloggers Meetup! 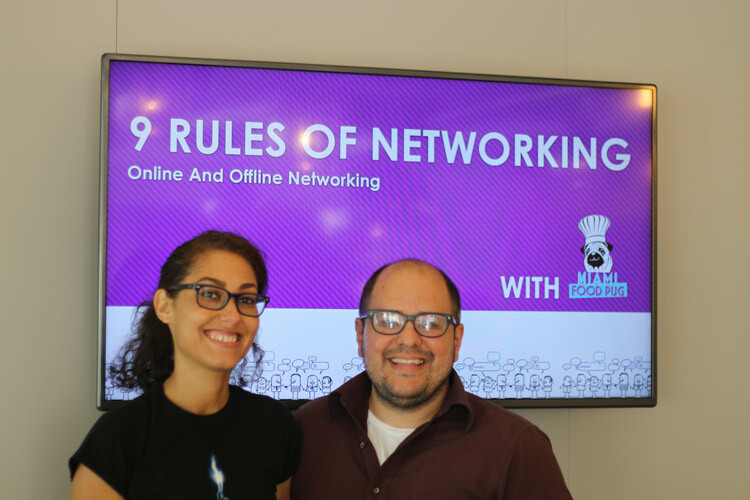 Geoff & Dianne from Miami Food Pug stopped by Pipeline Workspaces and shared their 9 Rules of Networking. They had great advice and answered questions for attendees after their presentation. 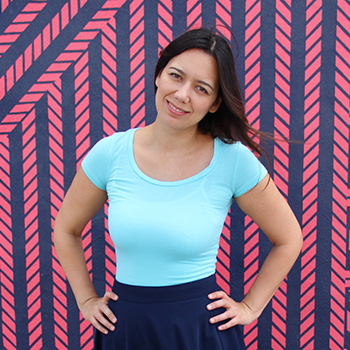 Our second speaker was Ana from Identity Media PR. She talked about how her PR Agency works with bloggers and how they collaborate with bloggers and the brands they represent. If you can’t make it to the meetups we broadcast them live via Periscope. Make sure to follow periscope.tv/sflbloggers to be notified of future broadcasts. Get out: If you really want to grow you will need to get out and meet new people. The magic starts to happen right outside of your comfort zone, so get out and meet new people in the community. The South Florida Bloggers is a great opportunity to meet new bloggers and start collaborating. Geoff & Dianne say they have created many opportunities by just setting out to explore new places and meeting new people. They run a food blog so they try out new restaurants and introduce themselves to restaurant owners, chefs, servers, and/or patrons. Be the first to arrive: When you arrive early you are more likely to meet the people organizing the event. Being early also allows you to meet the few early birds at the event. These people will introduce you to new comers as they arrive. It’s harder to arrive late and mingle once people have split up into clicks. Be the last to leave: Many events involve alcohol and people tend to open up and be more relaxed by the end of the night. If you stay until the very end others will be more friendly and easier to meet. Ask: We have all heard it before, “It doesn’t hurt to ask. The worst thing they can say is – no.” If there is someone you want to meet, send them an email and ask them. If there is an event you want to attend as media send an email to the PR contact and ask. If you want to interview someone – simply ask. You will be surprised how many more times people say yes than no. Always Have Business Cards: After an event people go home and go through the business cards they collected and try to make sense of it all. If you didn’t have a business card your introduction is more likely to be missed. Make sure your business card has you name, email, phone number, and website. Collaborate: Blogging is hard and it takes so many different skills. Collaborate with other people and help each other out. Work with a photographer that needs content for the portfolio. Work with a designer that needs content for their portfolio too. Guest blog on fellow blogger’s websites to build on each other’s audience. Help people as much you can and in turn others will help you when you need it. Don’t Be Afraid To Spend Money: It’s hard to invest in your blog when you’re not making money but you need certain basics to look professional. Print business cards, you only need 50 the first time you print business cards. Invest in improving as a blogger by attending workshops, and conventions. Not only will you learn invaluable tools but you will other people in the industry. The advice that stood out for me the most regarding working with PR agencies was the fact that bloggers have more flexibility that regular media outlets. So be creative when you pitch ideas to PR agencies. They are looking for new and different ways to promote the brands they represent and we as bloggers have all the freedom to come up with interesting partnerships. Did you learn anything important at the meetup? Share it with the community below in the comments! I sure did learn something. Hearing things over and over just doesn’t get old when comes to business. Dont forget the cards come early leave last. Love it. Thank you.